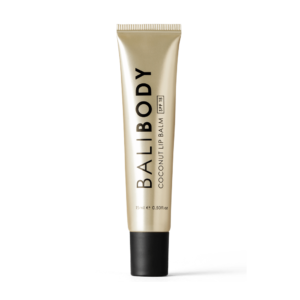 As someone who likes to pretend it’s summer all year-round, Bali Body is my go-to skincare range for that beach-babe glow. 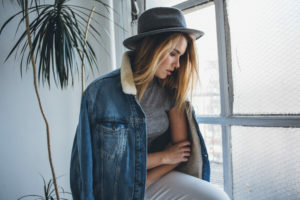 Not only do all their products naturally nourish and hydrate your skin but they were specifically developed for sensitive skin and they’re 100% Australian made. As I’m sure some of you know, I’ve been working with Bali Body for a few years now and I’m a big fan of all things sun, sand and SPF so I figured it was about time I shared my favourite Bali Body products and why. A girls gotta glow y’know. I use this everyday morning and night, all year-round. Max moisture, great for your skin and makes all tans (real or faux) last a whole lot longer. Dry lips are cute…said no one ever. I take this little golden tube of delicious hydration and ultimate lip protection EVERYWHERE. Instant face refresher. Nothing I love more than going sans make-up in Summer but there are times when you just want a little something that’s super light and natural to take you from the beach, to the bar and beyond. This is one saucy beach babe product. One of the questions I always get asked about this one is does it have self tanner in it? And the answer is No. 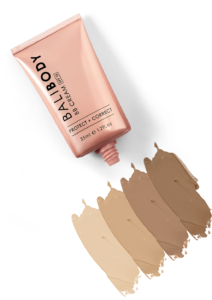 It has a hint of tint so the oil makes you a little bronzed when you put it on which is perfect for instant glow. Being from Australia, sun protection is really drilled into us from a young age so I like to use sunscreen first, wait 30 minutes and then apply this oil over the top. Great option if you want to try BB Tanning Oils but scared of getting burnt.